Notes: She was contracted to Charles Brandon and he assumed her title, but had to discontinue using it, as the contracted marriage failed to take place. Notes: In Feb 1537, she wrote to Thomas Cromwell, complaining of the poverty in which she and her husband were forced to live. ¿Married 2: ? BRYDGES (B. Chandos)? 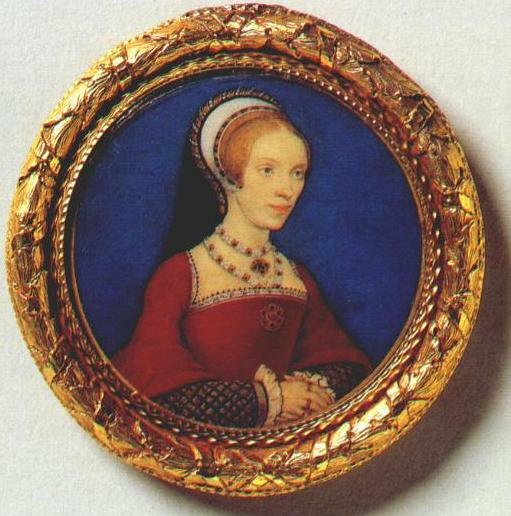 Notes: was one of the ladies who accompanied Mary Tudor to France in 1514 and one of the few allowed to stay with her. She was one of Catalina of Aragon’s attendants at the Field of Cloth of Gold in 1520. She married Gerald Fitzgerald, E. of Kildare and returned with him to Ireland in 1523 and they seem to have had a successful partnership. Letters she wrote back to England are still extant, indicating she took an interest in the political situation in Ireland. In 1531, a private act of Parliament assured Elizabeth an income of £200 per annum (Irish pounds) for life, as well as the manor of Portlester should she decide to remain in Ireland after her husband's death. By 1533, when Henry VIII sent for Kildare, he was apparently already gravely ill as the result of a bullet wound. Elizabeth went to England instead, arriving in Oct, but the King insisted on Kildare’s presence. He arrived and was imprisoned in Jul 1534. As he was clearly dying, Elizabeth was allowed to visit him. Meanwhile, in Ireland, Kildare’s brothers and his sons by his first marriage rebelled against English rule. Elizabeth’s brother, Lord Leonard Grey, was sent to put down the rebellion. In her widowhood, Elizabeth lived at Lord Leonard’s home, Beaumanor, Leicestershire, with her son Edward, who was smuggled out of Ireland in Jul 1536 and brought to her there. In a letter to Lord Cromwell, she describes him as "an innocent" and asks for custody of the boy so that he can be "brought up in virtue". Her oldest son fled to France in 1540 but was eventually brought to England by Lady Kildare’s chaplain in 1549. Notes: his will, dated 3 Mar 1523, names his wife as his executor. In spite of her clear identification in the will of the second Marquis of Dorset, which calls her “my sister Lady Anne Grey, wife to my brother John Lord Grey and now wife to Richard Clemente”, she is called the daughter of the first Marquis of Dorset in Collins’s Peerage and this mistake has been repeated in many places since. She was the sister of Henry Barley, who married as his secon wife Anne Jerningham, whoa was the widow of John's brother, Sir Edward. She was married three times and in each case was her husband’s second wife. Her third husband was Sir Richard Clement of Ightham Mote, Kent (d.1538). His first wife died in 1528, so their marriage must be dated after that. Anne Barley’s will is dated 1 Oct 1557 and was proved 7 May 1558. She asked to be buried at Albury with a tomb of marble or white alabaster. Notes: in her widowhood, Elizabeth lived at Audley End, near Saffron Walden. Her daughter Margaret, who had become Duchess of Norfolk by her marriage, came to her there to give birth to each of her children. 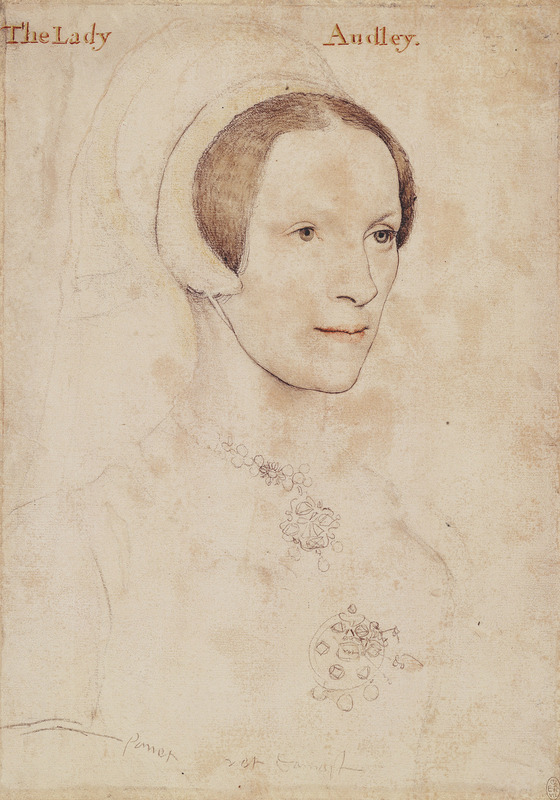 According to the catalog of an exhibit of works by Hans Holbein, Elizabeth married again, in 1549, to Sir George Norton, and died before her daughter, but other sources, including Neville Williams's biography of Thomas Howard, 4th Duke of Norfolk, say she looked after her grandchildren following her daughter's death until Norfolk remarried in 1567. Notes: Executed for participating in Wyatt's rebellion. Notes: Some sources says that her sister Elizabeth married Sir Edward Greville.